Winter is in full swing with temperatures reaching ZERO and below in some parts of the country! 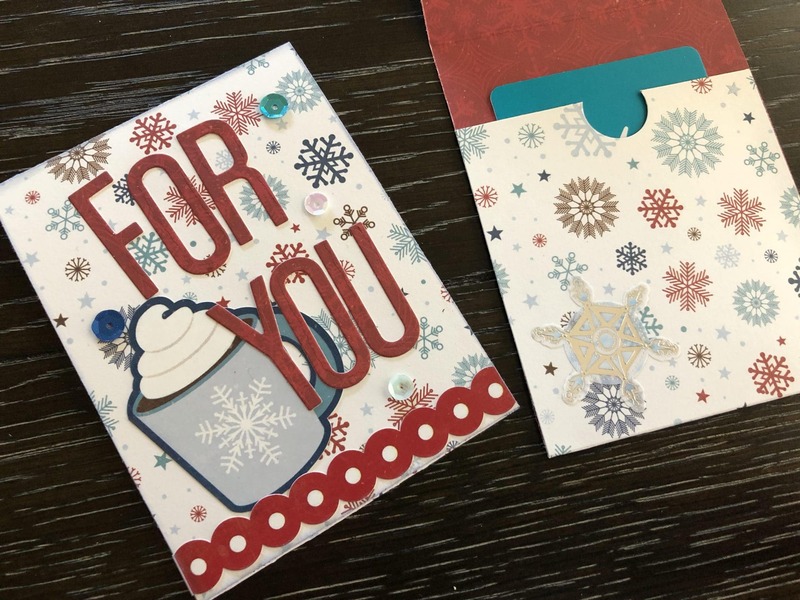 Luckily we at ScrapbookingStore have a HOT DIY Gift Card Holder to show you courtesy of our Designer and friend, Brandy Burke. Brandy used our January ScrapbookingStore kit to make this quick and cute design. Just follow her instructions below and you’ll have one of these all to yourself in no time! 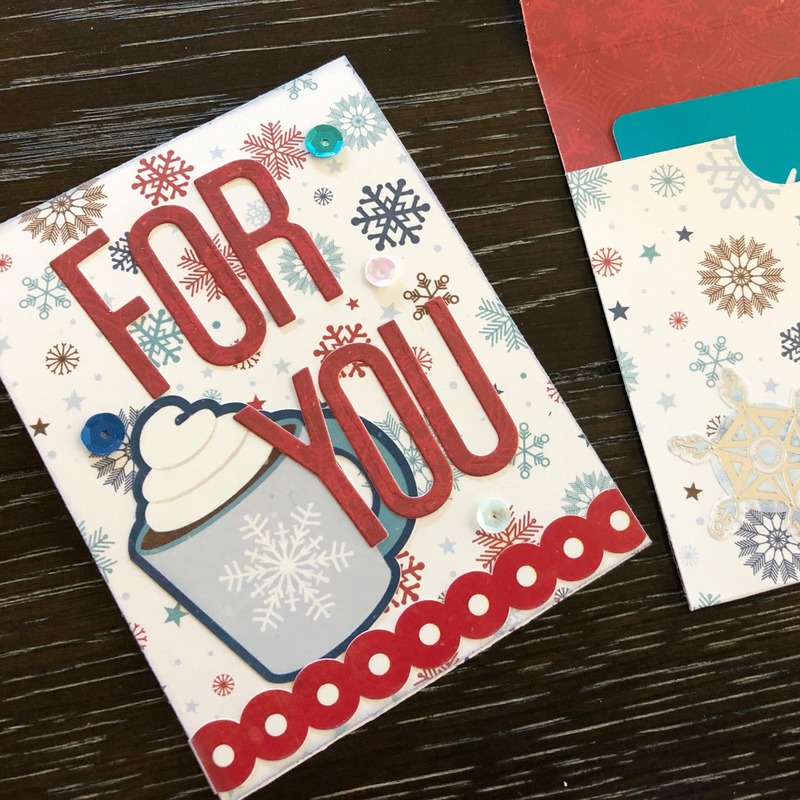 These gift card holders are super simple to create and are quick when you’re in a pinch for a gift but still want to personalize. 1. 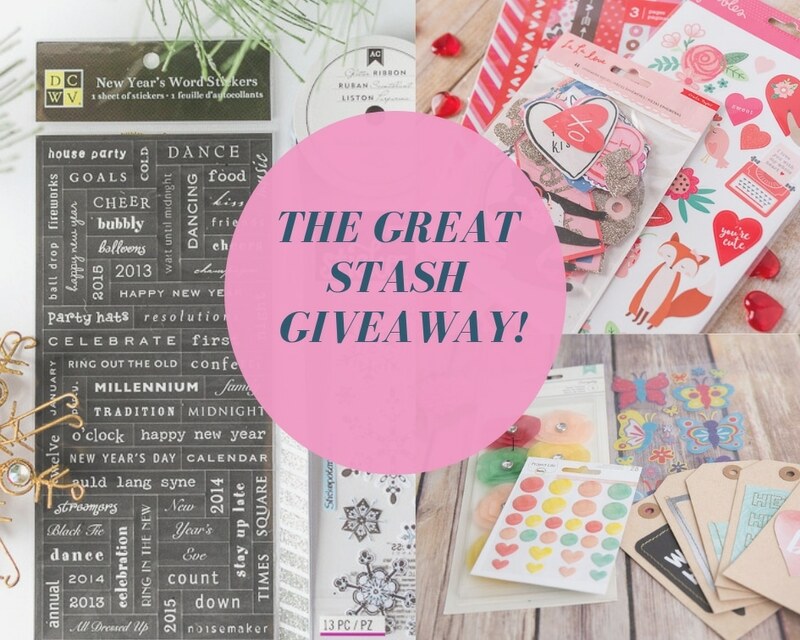 Start with a 12X12 sheet of double sided cardstock from your January kit. 6. Fold, adhere and embellish. *Leave the tags as they are or punch a hole in the top and add a ribbon for easier removal. We’d love to see how your gift card holder turns out! Tag us on Instagram or Facebook to show us what you’ve created! And if you have questions, leave them in the comments below and we’ll be sure to answer!